We've seen Porsches made from Legos before. 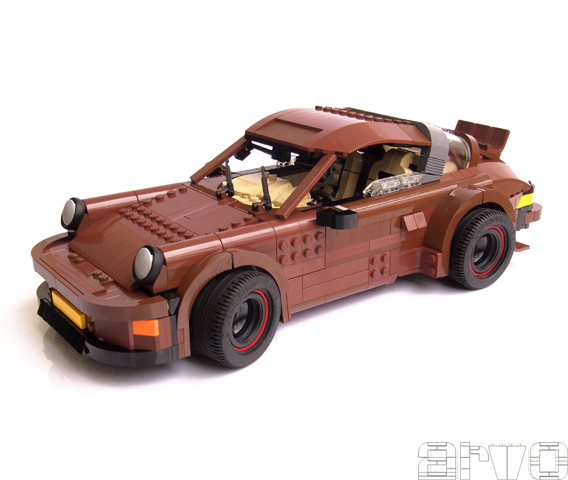 In fact, we've even seen a Lego Porsche from the Arvo Brothers (legendary builders withing the world of Lego). However, this is the first time we've seen a Lego Porsche with working suspension. We particularly like the slant hood nose and the full coupe roof on this version versus the targa on their last Lego Porsche creation. Don't forget to check out the Arvo brother's gallery to see the rest of their amazing Lego work. What do all these Porsche videos have in common? I want this so badly… Never saw a LEGO I didn’t like. i love it , i want one, now i need to build my Lego garage for it.